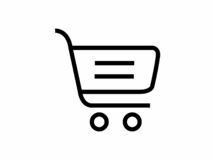 Bag on trolley line icon. 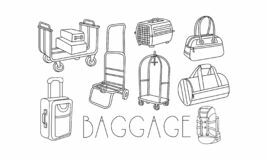 Luggage cart vector illustration isolated on white. Suitcase on cart outline style design.